Sesame seeds are tiny and flat in size that is oval shaped. Sesame is a flowering plant of the Pedaliaceae family that have high oil content compared to all the other seeds. This has a very sober and nutty flavor that tends to increase with roasting under a low temperature for few some minutes. Sesame seeds can also be eaten raw, dried or roasted. They are popularly used ingredient in various cuisines. Dry roasted sesame seeds are made into ‘Tahini’ that is a popular dip. 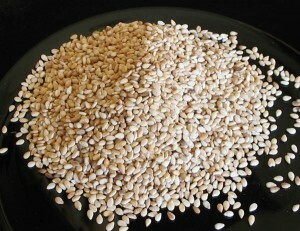 Sesame seeds are available in many varieties like white, black and brown seeds. 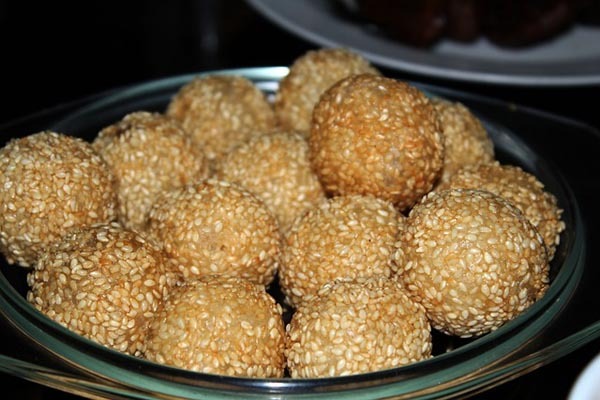 In India, sesame is also known as Tila, til, raashi or ellu. 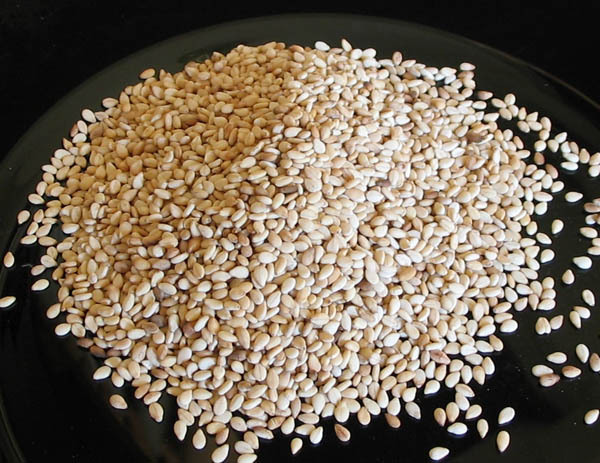 White sesame seeds are richest in iron content that are used in many food or as oil. Sesame seeds have culinary uses with nutritive, preventive and curative value in orthodox medicines. 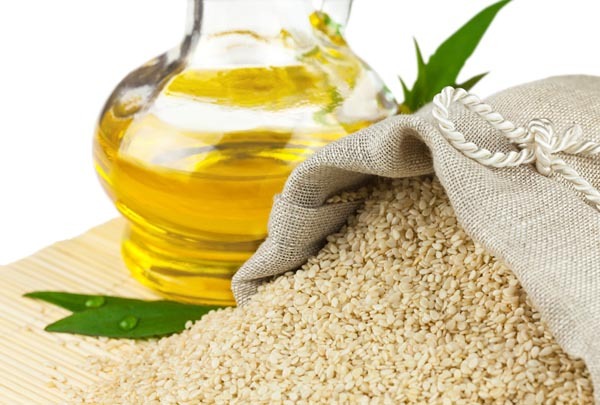 Sesame seed oil has flavonoid phenolic antioxidants, omega-6 fatty acids vitamins, and dietary fibre. These seeds also have many health benefits. Sesame seeds have dietary protein with high quality amino acids. Hence, they must be included in daily diet as high protein vegetarian source. Sesame seeds have magnesium and other nutrients to prevent diabetes. Use sesame seed oil to lower your blood pressure and plasma glucose in hypertension patients. The black Sesame seeds are good source of iron. Hence, they must be given to people with problems and symptoms of anemia. Sesame seed oil prevents atherosclerosis lesions and is very beneficial for your heart’s health. They are antioxidant and anti-inflammatory known as sesame to exhibit anti-atherogenic properties for better cardiovascular health. Sesame seeds have monounsaturated fatty acid, oleic acid to lower bad cholesterol and increase good cholesterol in the body. This also prevents from the risk of coronary related artery diseases and heart strokes. Sesame seeds contain magnesium with anti-cancer properties. They also include an anti-cancer compound called as phytate. Sesame seeds are required to reduce the risk of colorectal tumors and stop colorectal cancer. Sesame seeds can give healthy digestive system and colon, as they are a high source of fiber. This fiber content help to smoothen the functioning of the intestine, waste disposal and gives you relief from constipation. Sesame seeds have copper content that is required for antioxidant enzyme systems that reduces pain and swelling symptoms related to arthritis. This mineral helps to strengthen the blood vessels, bones and joints. 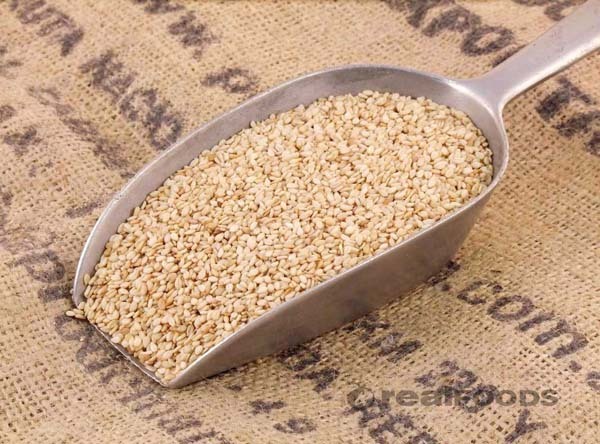 Magnesium in sesame seeds lowers the risk of asthma and respiratory related problems by reducing the airway spasms. Sesamol in sesame seeds prevents your DNA from getting ruined due to its radiation. This also reduces the damage to the intestines and spleen. Sesame seeds have zinc content to stimulate bone mineral density and good bone health. Deficiency of this can cause osteoporosis in the hip and spine. Sesame seeds also have calcium required for bone health. Sesame seeds and its oil maintain good oral health by reducing dental plaque and whitening your teeth. Swishing with sesame seed oil inside the mouth lowers streptococcus mutants in the teeth and mouth saliva. Sesame seeds are useful for liver to decompose any harmful effects of alcohol and other things that produce poisoning in the body. Sesame seeds have nutrients to relieve stress. Magnesium and calcium is antispasmodic that regulates muscle function. Thiamine contains calming properties for proper nerve functioning. Deficiency causes muscle spasms, moodiness and depression. Tryptophan help in manufacturing serotonin that reduces pain and regulates sleep pattern. Deficiency of serotonin can cause anxiety and depression. Black sesame seeds are good to lower the cholesterol levels. It has 2 substances- sesamin and sesamolin known as lignans. Lignans has cholesterol lowering content, since they are good in dietary fiber. Black sesame seeds include plant compounds called as phytosterols that is like cholesterol. Their consumption lowers blood cholesterol and reduces the risk of cancer. Sesame seeds has good amount of phytosterol, even more than seeds and nuts. There is a relationship between the internal organs and external parts. The liver stores blood and some branch also goes to your eyes, thus it sends blood to your eyes for good functioning. Black sesame seeds are effective for liver to stimulate liver blood and nourish the eyes. These therapeutic effects treat blurred vision, sore, tired and dry eyes. Black sesame seeds increases energy, nourishes your brain and slows down the ageing process. Eat black sesame seeds to lower the backache, painful and stiff joints, and its symptoms. This has folic acid for pregnant mothers. Folic acids maintain proper DNA synthesis of your fetus and also add to the health of pregnant mother. Sesame Seeds contain antioxidants that are antibacterial and antiviral. Sesame seeds have various benefits for the skin to boost blood and nourishment. The oil from sesame seeds has magnesium, phosphorus, calcium, iron, omega 6, vitamins B and E for skin beautification. Sesame seed oil is anti-inflammatory that is best for healing. It is also antibacterial properties that reduce the skin pathogens such as staphylococcus, streptococcus and athlete’s foot fungi. Mix Sesame seed oil with some warm water to cure vaginal yeast infections. Sesame seed oil cures suntans, when used after sun or wind exposure. It can prevent from the harmful UV rays to damage the skin and prevent the wrinkles and pigmentation. Use this oil regularly to reduce the risk of skin cancer and chlorine effects of swimming pool water. The antioxidants in sesame seed oil detoxify your skin. This molecule gets attracted to the oil when applied on your skin. Mix 1/2cup sesame seed oil with 1/2 cup apple cider vinegar and water. This can be applied each night after washing the face thoroughly. Baby skin with diapers often gets rashes, as it has body’s acidity wastes. Sesame seed oil will protect the tender skin of your baby from rashes. Apply on your nose and ears to protection against common skin pathogens and reduce dryness of your skin. Sesame seed oil gives glowing skin. It can maintain the skin’s flexibility by keeping them soft and supple, heal cuts and abrasions. This also tightens your facial skin, around the nose area and controls pore enlargement. This can prevents eruptions and neutralize the poisons on the pores surface. You can also opt for facial to get glowing skin. Massage with this on the face thoroughly with sesame seed oil and scrub with besan powder. Cracked heels can be cured with applying sesame seed oil each night and covering the feet with the cotton socks. This can be done for few days for soft and supple feet. Sesame seeds are rich in vitamins, nutrients and minerals required for your healthy scalp and good hair. Sesame seed oil is also helpful for your scalp to fight many scalp problems. The benefits of this for your hair are as below. Sesame seeds have fatty acids like omega-3, omega-6 and omega-9 to stimulate hair growth. Sesame seed oil nourishes conditions and promotes a good scalp. Massage with some warm sesame oil regularly that penetrates in the scalp to stimulate the blood circulation. This acts like liquid vitamin for the hair roots and its shafts. Sesame seeds have vitamins, minerals and nutrients required for the healthy scalp. Massage your scalp with some sesame seed oil every day to fight off dryness, flakiness and clogged pores leading to thin hair and loss. This is antifungal, antibacterial and anti-inflammatory to treat many scalp infections and dandruff that soothe your irritated scalp. Sesame seed oil is a natural sunscreen for your hair to protect the damage of the sun’s UV ray. Sesame seed oil can deeply condition and act as a treatment for the dry, damaged, split ends and chemically treated hair. This also restores the moisture and strengthens the hair shaft to get rid of dull and brittle hair with elasticity, shine, bounce, and softness. Sesame seed oil has hair darkening qualities to cure premature greying of your hair. It also is a carrier oils such as coconut, olive or almond oil for maximum benefits. To enhance the color of the hair, massage your hair with sesame oil daily. This will treat premature graying and darken them. Sesame oil stimulates the scalp circulation with its high penetration ability and gives good hair growth. Sesame oil also regains your hair health, even for the damaged hair treated with chemicals. Use this with other essential oils to cure head lice. Massage regularly with some oil and rinse thoroughly with a shampoo for maximum effect. Sesame oil is antibacterial; hence apply the oil on the scalp to get rid of fungal and bacterial effects. Massage with some sesame oil to your scalp with your fingertips at night and rinse the hair in the morning. For best and good result, use sesame oil for at least for 30 days. Food allergic people with other nuts like peanuts, cashews, walnuts, etc. can avoid eating sesame seeds. This also causes allergic reaction and many other medical complications, in some cases. Keep in mind to check the food labels to know if sesame seeds are there in food items. The above are various benefits of eating Sesame seeds. Have Sesame seeds to get many benefits for your body.